A Philadelphia Police officer broke his leg after being dragged by a suspect's car following a traffic stop this morning. It happened around 11:30 near the intersection of 32nd Street and W. Susquehanna Avenue in the city's Strawberry Mansion section. 32-year-old Officer Joseph Kochmer and his partner pulled over a Chevy Impala for a traffic violation. The officers say the male was being evasive when questioned. When the officers ran the registration they noticed the tags didn't match the car. Officer Kochmer approached the car again telling the driver to get out. That's when the suspect gunned it, spinning his wheels on the ice. Kochmer pulled out his gun. The suspect grabbed the weapon and pulled the officer into the car, driving off while dragging the policeman along. Kochmer's leg was run over by the car as it sped away. Kochmer fired a shot that shattered the window. 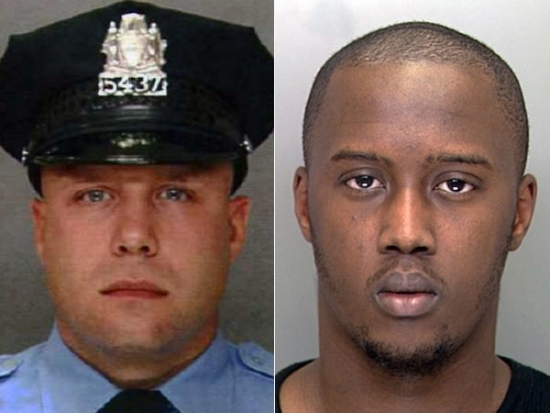 The officer was taken to Temple University Hospital and is stable condition. Later in the afternoon, police found the vehicle and located the suspect. 23-year-old Dominique Fallins is under arrest for attempted murder, assault, alluding, and other offenses. I cannot confirm the posted report in the Philadelphia Inquirer of any presentment issued by the Grand Jury regarding Attorney General Kathleen Kane. If such is the case, then it is my understanding... that it is up to the Montgomery County District Attorney to make a judgment as to whether to proceed against the Attorney General. The Attorney General has done nothing wrong or illegal and, to my knowledge, there is no credible evidence that she has. She told the truth to the Grand Jury at all times. I hope the District Attorney will reach same conclusion. 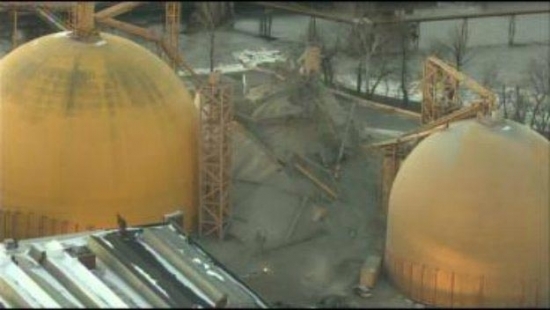 A worker is presumed dead after a dry cement silo collapsed overnight at an industrial complex in Bucks County. It happened around midnight on the 7900 block of North Radcliffe Street in Bristol Township. The worker has been identified as 48-year-old Tony Gabriele of Tulleytown who was ending his shift at Silvi Concrete in the Riverside Industrial Complex. Gabriele was working the night shift loading concrete into trucks when the silo collapsed spilling tons of powdered concrete like an avalanche. Authorities determined there was no way that anyone could have survived the collapse and are focused on recovering the victim's body. “There’s so much debris, thousands of pounds of steel, thousands of pounds of dry cement, over 10 foot high,” Chief Carl Pierce of the Edgeley Fire Department said. There is no word on a cause of the accident. OSHA is investigating.